Update your skincare routine for fall. The Fall season is all about transitions. Some of these changes are energizing and renewing; others are bit of a challenge. A common challenge is the change that happens to our skin. Cooler temperatures often result in dry, flaky skin. Do you want to protect your beautiful skin this fall? 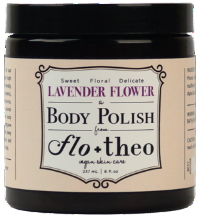 Check out some of our favorite all-natural, vegan skincare products from FLO + THEO. The Lavender Body Polish provides gentle exfoliation using sugar crystals and moisturizing oils. Enjoy the calming soft scent while polishing and renewing your skin. 8 fl oz. *Also available in Lemon Orchard. 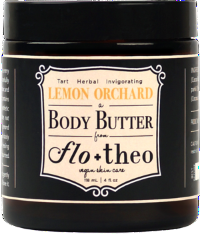 The Lemon Orchard Body Butter is light and moisturizing, melts quickly into your skin providing ultimate hydration and leaving behind a subtle, refreshing scent. 4 fl. oz. 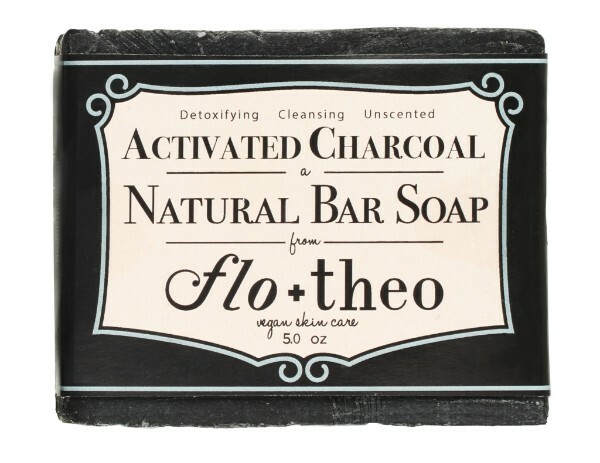 The Activated Charcoal soap is detoxifying and cleansing. It is unscented and great for the whole body, including your face. 5.5 oz. Browse our Natural Beauty Pinterest Board for beauty tips + DIYs!